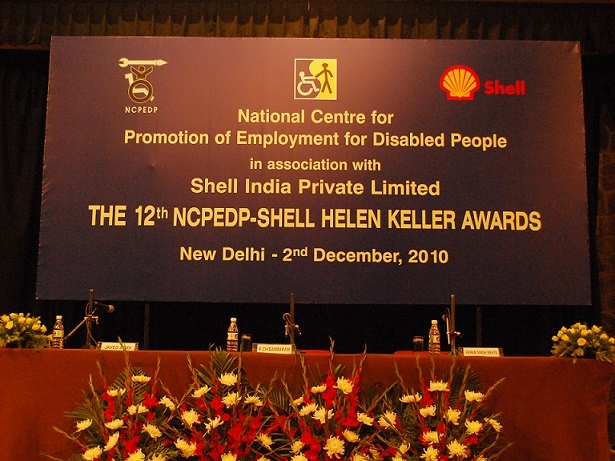 Stage is set for the 12th NCPEDP-Shell Helen Keller Awards Presentation Ceremony. 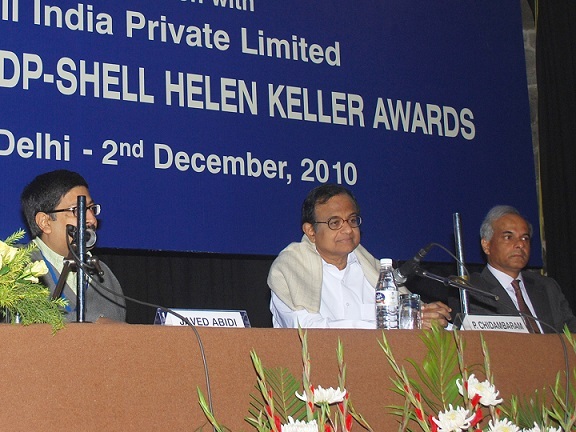 Dignitaries on the dais (From Left to Right): Javed Abidi, Honorary Director, NCPEDP; P. Chidambaram, Hon'ble Home Minister; and Vikram Singh Mehta, Chairman, Shell Group of Companies. 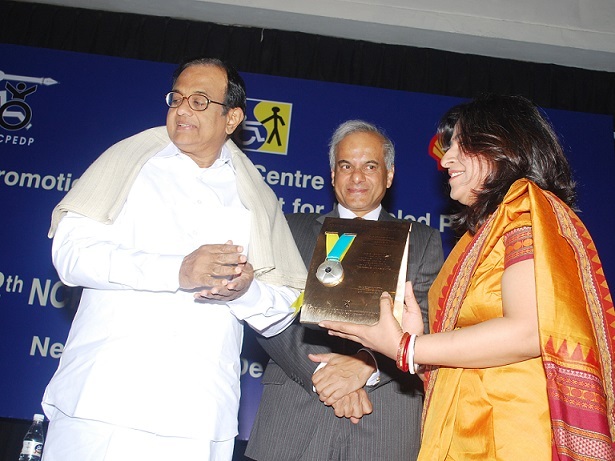 Deepti Bhatia receiving the award under Category A Role Model Disabled Person. 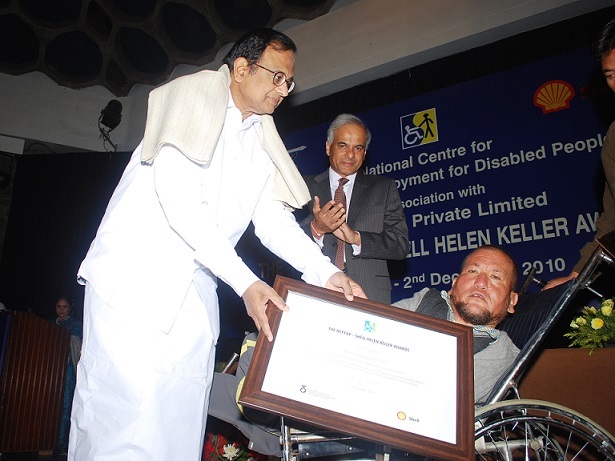 Mohammed Iqbal receiving the award under Category A Role Model Disabled Person. 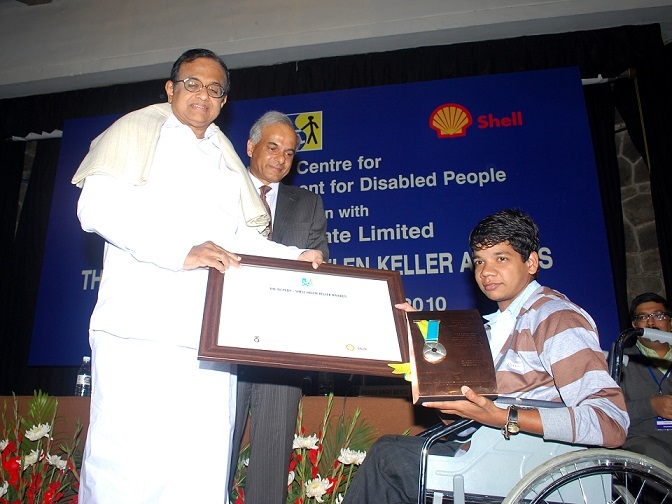 Sai Prasad Vishwanathan receiving the award under Category A Role Model Disabled Person. 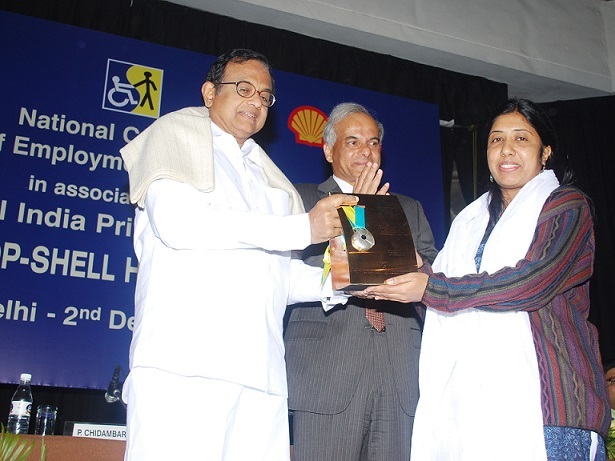 Anubhuti Bhattacharya receiving the award under Category B Role Model Supporter of Increased Employment Opportunities for Disabled People. 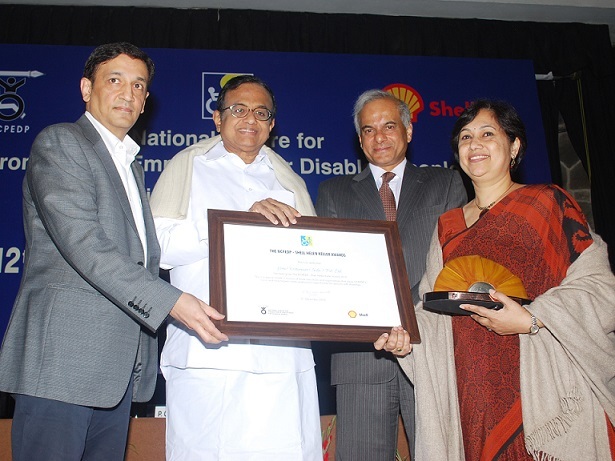 Meera Chetan Bhatia receiving the award under Category B Role Model Supporter of Increased Employment Opportunities for Disabled People. 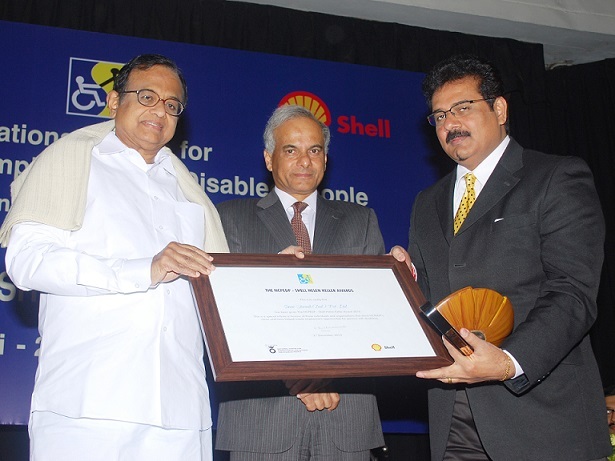 Rama Chari receiving the award under Category B Role Model Supporter of Increased Employment Opportunities for Disabled People. 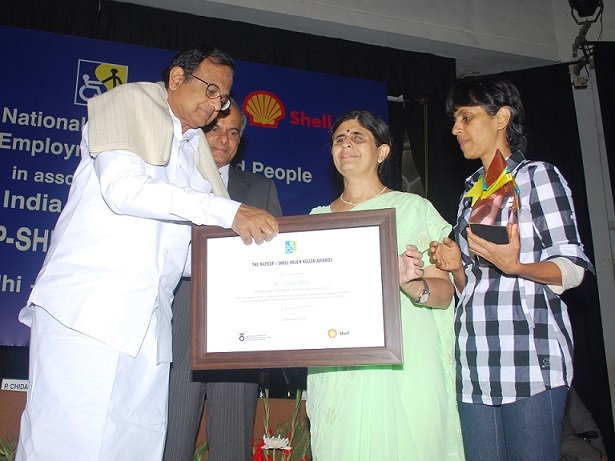 Gitanjali Gems Ltd.receiving the award under Category C Role Model Companies/NGOs/Institutions. Lemon Tree Hotels Pvt. 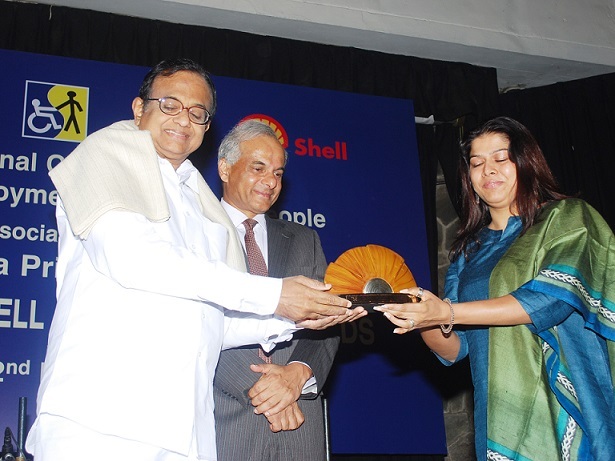 Ltd. receiving the award under Category C Role Model Companies/NGOs/Institutions. Sinar Jernih (India) Pvt. 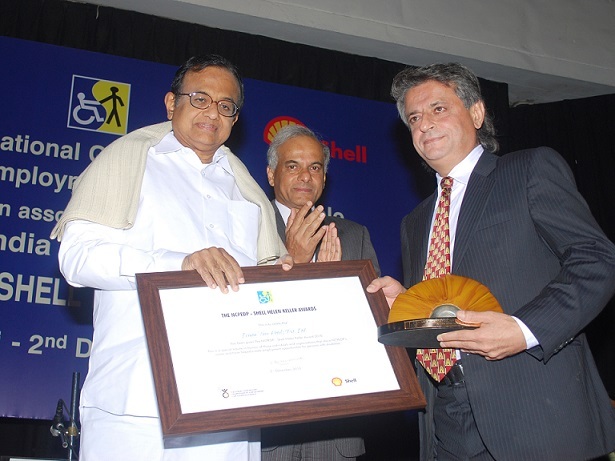 Ltd. receiving the award under Category C Role Model Companies/NGOs/Institutions. Yum! Restaurant (India) Pvt. 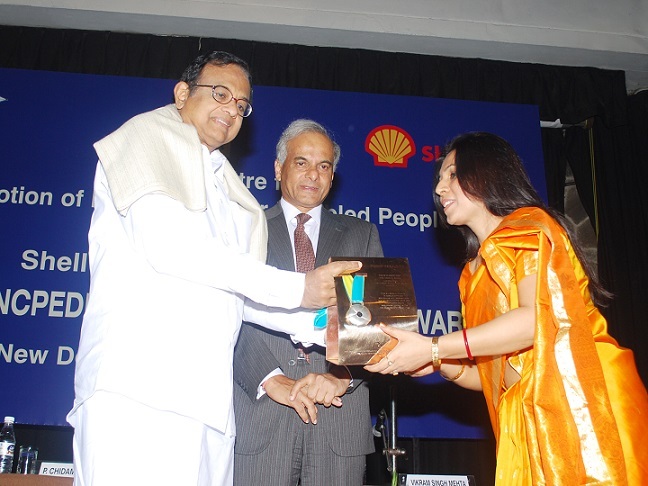 Ltd. receiving the award under Category C Role Model Companies/NGOs/Institutions. 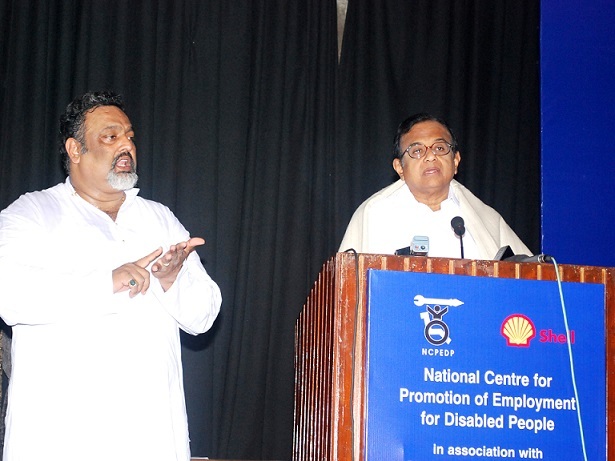 Sai Prasad Vishwanathan, Indian School of Business, awardee under Category A (Role Model Persons with Disabilities) addressing the audience. Patanjali Keswani, Chairman & Managing Director, Lemon Tree Hotels Pvt. 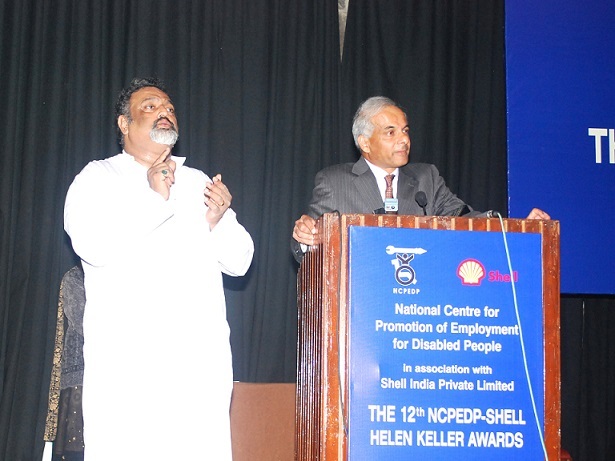 Ltd., awardee under Category C (Role Model Companies/NGOs/Institutions) addressing the audience. 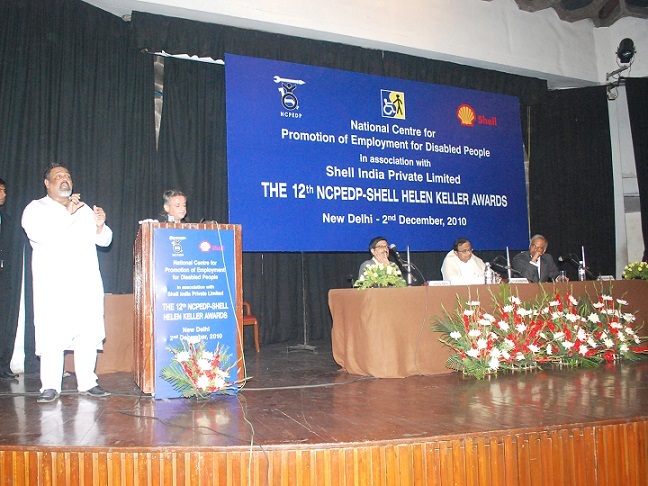 Vikram Singh Mehta, Chairman, Shell Group of Companies addressing the audience. 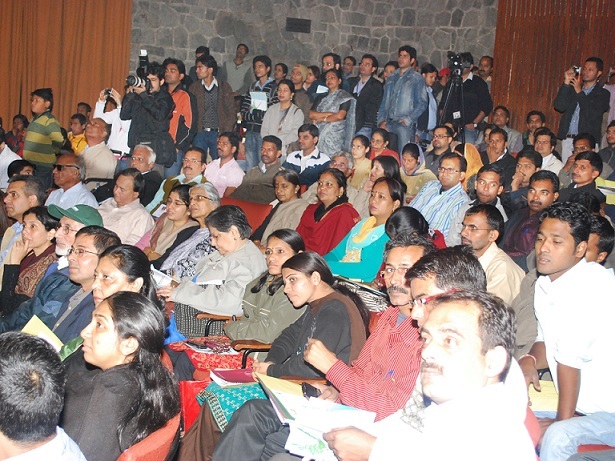 Chief Guest P. Chidambaram, Hon'ble Home Minister addressing the audience.